Our group is focused on the diversity and function of microbial communities in contaminated sites. We study these environments, asking questions: how do organisms adapt to the harsh conditions at contaminated sites? How and when did the ability to degrade a man-made product evolve? Can we use that ability for remediation? In what ways are microbial communities more than the sum of their parts, and how do these microbial interactions drive global cycles? We strive to answer these questions using a mixture of total community approaches (metagenomics and other ‘omics), bioinformatics, and wet-lab microbiology techniques. We are always happy to hear from talented, self-motivated students with solid communication skills and an interest in environmental microbiology. If you are interested in joining our group, please read the Department of Biology graduate program information and contact Dr. Hug. 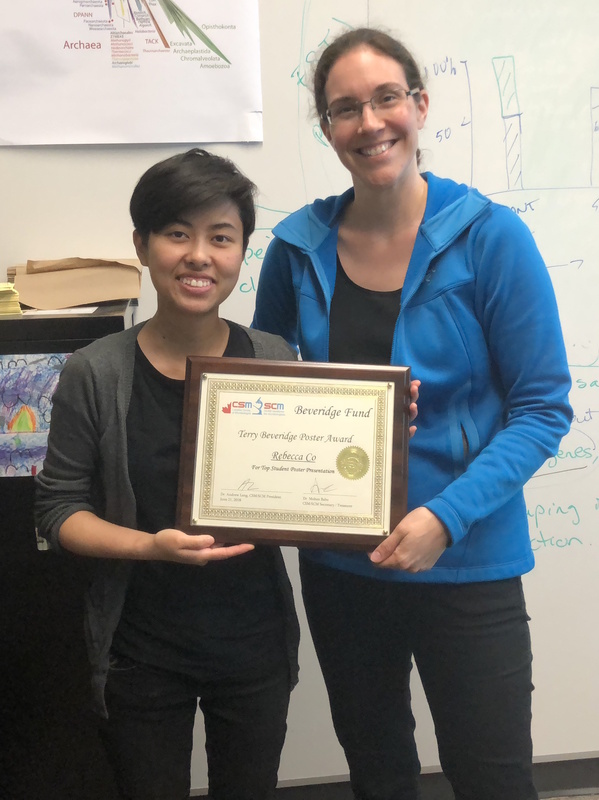 Rebecca Co was awarded the Terry Beveridge Student Poster Award at the 68th annual Canadian Society for Microbiologists conference in Winnipeg, Manitoba. Her poster was selected to compete, and then adjudicated as one of the top three posters at the conference. Rebecca was also honoured with the Ram and Lekha Tumkur memorial graduate scholarship for 2018, a scholarship awarded by the Department of Biology at the University of Waterloo. 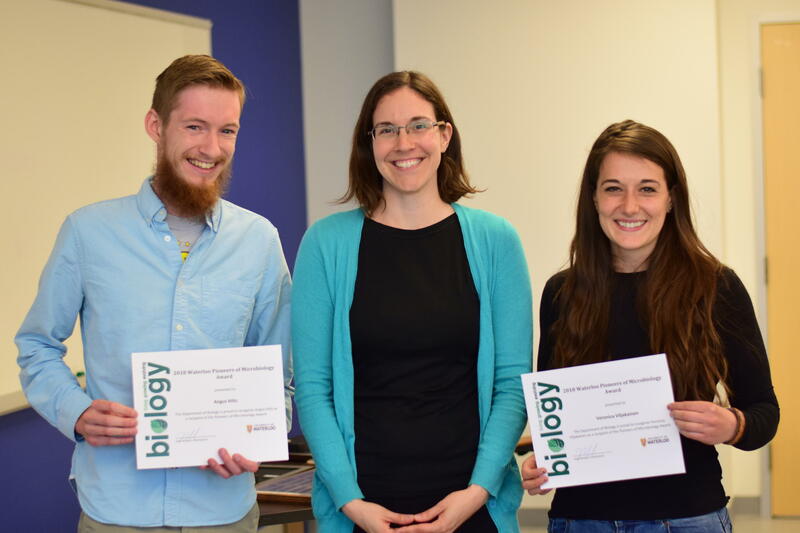 Hug lab members Nikhil George, Veronica Viljakainen, and Angus Hilts were honoured with the Waterloo Pioneers in Microbiology Graduate Award at the Department of Biology award reception. The Pioneers in Microbiology award is given annually to students in the first year of their graduate program who demonstrate strong research ability, scholastic aptitude, and an interest in pursuing microbiology. Congrats Angus, Nikhil, and Veronica! Apr. 20, 2016A new view of the tree of life highlighted internationally. 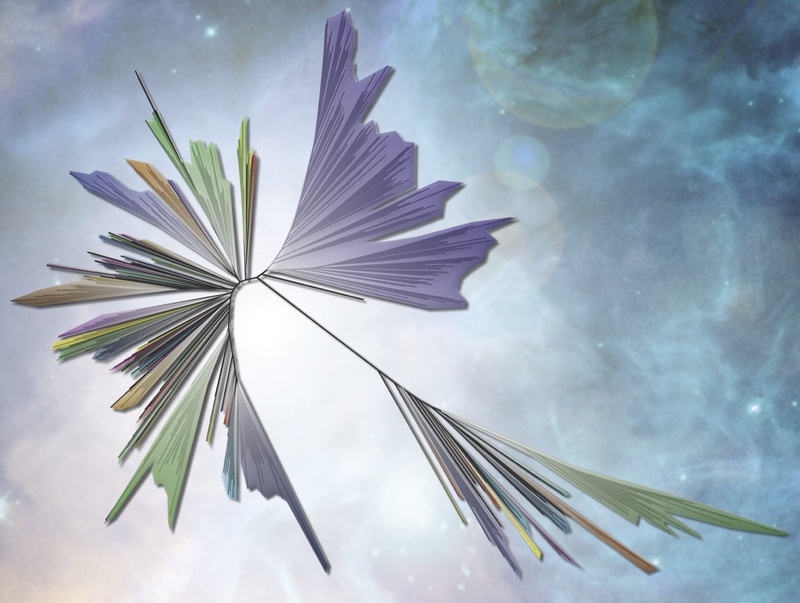 Dr. Hug’s latest paper, “A new view of the tree of life”, was published in Nature Microbiology on April 11th. This work was done at the University of California Berkeley with Dr.